Alliance,' to commercialize the world's first connected car commerce services in the sercond half of the year 2017.
the upcoming connected car market, which is right around the corner, by providing new advatageous services to customers. We wish you to become a partner to start this venture with us. 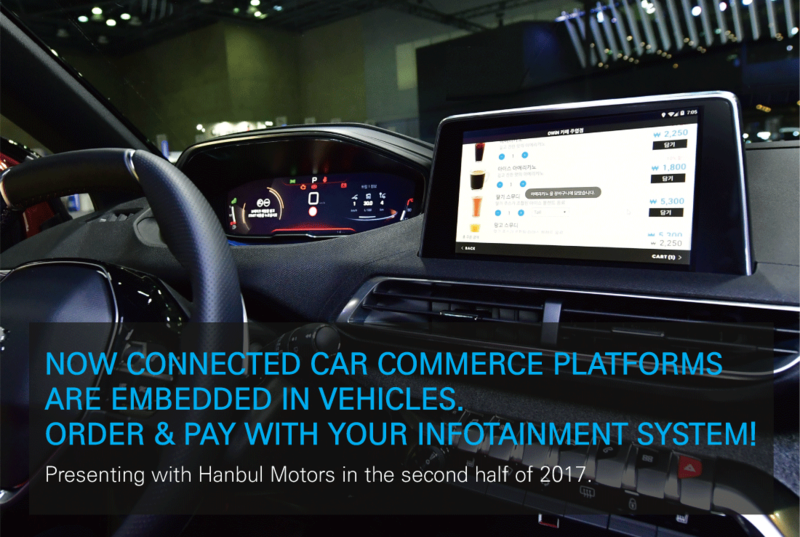 Acquire Connected Car Commerce Service Customers with Korea's TOP Brands! Shinhan Card, LG U+, GS Caltex and OWiN are launching services towards the end of 2017! 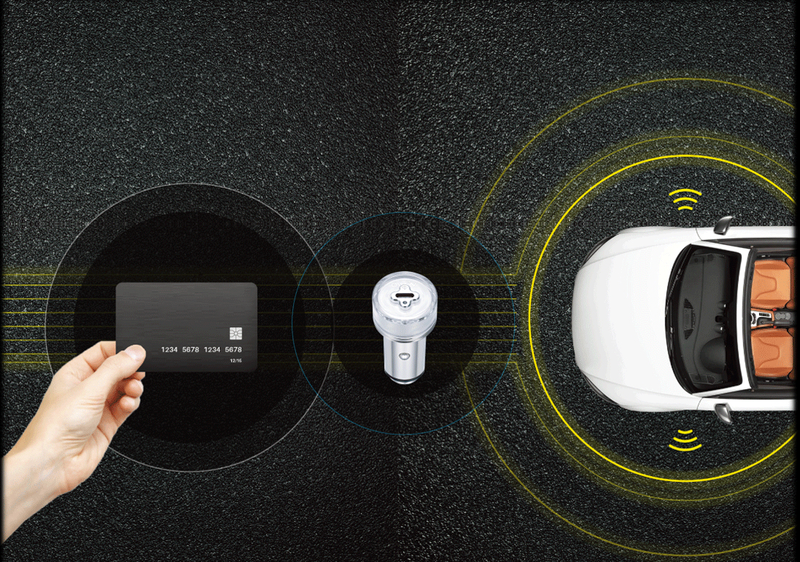 drivers at gas stations, parking lots, FnB and retail stores! in the first half of 2018, all of Seoul will be covered for services and will expand to Gyeonggi-do. Services can be provided through individual brand APP's. The Connected Car Commerce Solution is building an expandable Connected Car Commerce Eco System through providing OPEN API. 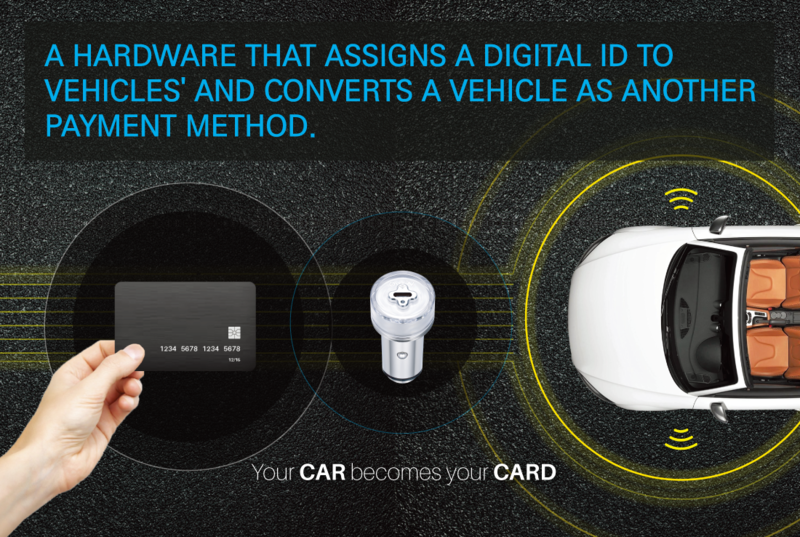 and converts a vehicle as another payment method. 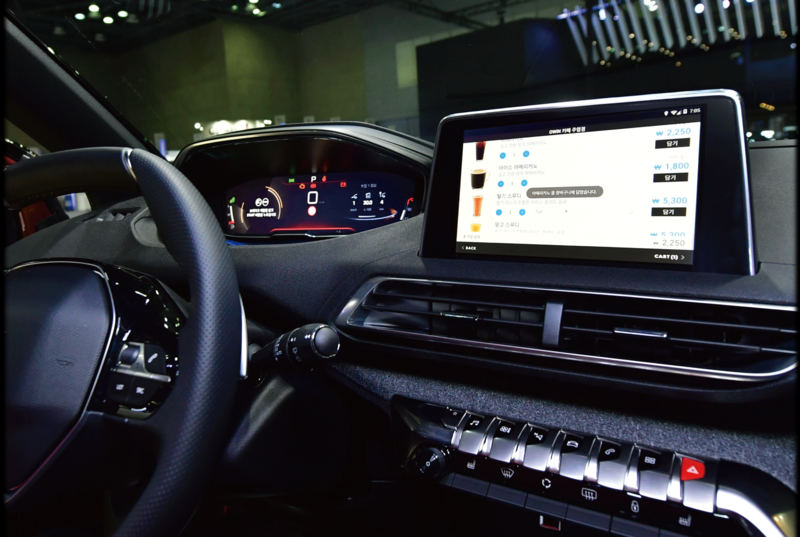 ORDER & PAY WITH YOUR INFOTAINMENT SYSTEM!